Woolworths made a submission on the Liquor Products Amendment Bill. In its submission, it said the proposed amendment to lower the alcohol content referred to in the definition of liquor products from 1% to 0.5% should be reconsidered. Currently, a number of low alcohol beers, beer shandies and similar products with an alcohol content of between 0, 5% and 1% are being sold in retail stores throughout South Africa. The present Liquor Products Act defines products with an alcohol content of more than 1% as liquor products, and the retail stores have been selling these low alcohol products despite the fact that these are not wine. The proposed amendments will mean that, since these products will now be considered liquor, the license condition which only permits the sale of wine will prohibit the sale thereof and the products will have to be withdrawn from retail stores. If the proposed amendment is approved, the withdrawal of these products from retail stores will obviously impact on consumers who became accustomed to buying these products in the convenience of retail stores. This will also have economic effects on the retail stores and the loss of revenue will create a risk of reduced employment. Jonkershoek Forestry Community Forum (JFCF) made a submission on the National Forests Amendment Bill. According to JFCF, what they have seen to be amended is fine as long as it would not have a negative influence on its community and tenureship, especially those who lived and worked on State Forest Stations including the children who were born and raised there. In 2006, MTO Forestry assumed responsibility over the plantation in the area. This arrangement was not known to the community. The community had already applied in 1996 to operate a community forestry station, but its application was never taken into consideration. A series of meetings with the community and relevant stakeholders including MTO, The Department of Agriculture, Forestry and Fisheries (DAFF), Universities of Stellenbosch and Western Cape, Stellenbosch Municipality, the Department of Public Works (DPW), and legal advice clinics were held. 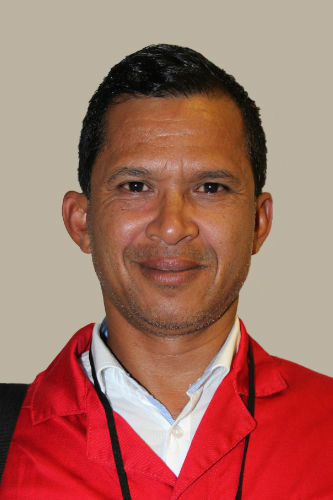 The series of meetings produced nothing because the Stellenbosch Municipality and DPW played a cat and mouse game with the community when it came to implementation. Western Cape Forestry Sector Forum (WCFSF) also made a submission on the National Forests Amendment Bill. According to WCFSF, the government should ensure beneficiation of all raw forest material. The government must put a stop to creating jobs for other countries through exporting raw materials, and it must work together with the industry to develop opportunities for black scientists to develop within the entire scope of forestry research. The government should also review the evergreen contracts signed before the dawn of our democracy. The very companies enjoying the benefits of these evergreen contracts still feel they do not have to heed the call for transformation whilst enjoying the privileges bestowed on them by apartheid and tolerated by current leaders. The Centre for Environmental Rights made a submission on the National Forests Amendment Bill. The Center took a clause-by-clause approach and said it is incorrect that the national government is the sole public trustee of the nation’s forestry resources as asserted in the proposed section 2A. All three tiers of government are involved in the conservation of natural forests, forest ecosystems and woodlands and are, therefore, the shared trustees of South Africa’s forestry resources. Environmental management and conservation inherently form part of municipal planning, and that municipalities have powers relating to environmental management and nature conservation. They proposed a re-formulation of the proposed Section 2A of the Act. The Centre supported the proposal to provide for a more severe sentence for category five offences. They also recommended that more severe penalties are prescribed for all offences, not only category five offences. They recommended that the Act provides for maximum fines between R1 million and R10 million. JFCF also made a submission on the National Veld and Forest Fire Amendment Bill. They proposed specifics on firebreaks, the training of community members, safety and fines. The Department gave some input on some of the written submissions by other stakeholders. On the Woolworths submission, members had some discussion on whether government should dictate how retailers sell their products and the improved regulation of liquor in the country. Members also asked why, according to the submission by Grain SA, why the making of traditional beer should be limited to barley and malt and not sorghum. On the Centre for Environmental Rights submission, the Committee stressed the importance of community consultation. The Committee wanted more information on MTO Forestry and it got involved in that piece of land. They also wanted some information from WCFSF on the issue of forestry communities that are being chased away because of not having lease agreements. On the JFCF submission, members wanted to know if there is a good way of making firebreaks and if Traditional Councils and affected communities have been consulted on the Bill. Mr Danie Cronje, Director, Cronje Attorneys Incorporated, on alcohol content of liquor products, submitted that the proposed amendment to lower the alcohol content referred to in the definition of liquor products from 1% to 0,5% should be reconsidered. Currently, a number of low alcohol beers, beer shandies and similar products with an alcohol content of between 0, 5% and 1% are being sold in retail stores throughout South Africa. These retail stores hold consumption off liquor licenses issued by the various provincial liquor authorities which permit them to sell wine only. The present Liquor Products Act defines products with an alcohol content of more than 1% as liquor products, and the retail stores have been selling these low alcohol products despite the fact that these are not wine. The proposed amendments will mean that, since these products will now be considered liquor, the license condition which only permits the sale of wine will prohibit the sale thereof and the products will have to be withdrawn from retail stores. There is no data available that shows the sale of these low alcohol products contributes to the harms associated with alcohol abuse. If the proposed amendment is approved, the withdrawal of these products from retail stores will obviously impact on consumers who became accustomed to buying these products in the convenience of retail stores. This will also have economic effects on the retail stores and the loss of revenue will create a risk of reduced employment. On compulsory registrations of producers, blenders or fillers, he stated that neither the current Act nor the Amendment Bill contains a definition of a "producer, blender or filler". It is unclear why such a registration is required for producers and blenders. The persons involved in the blending of liquor products will also be the manufacturers or micro-manufacturers of liquor products as blending is part of the manufacturing process. If a third party is involved while the liquor product remains the property of the manufacturer and micro manufacturer, it could be difficult to apportion responsibility for any consequences of problems arising during the bottling/filling process. 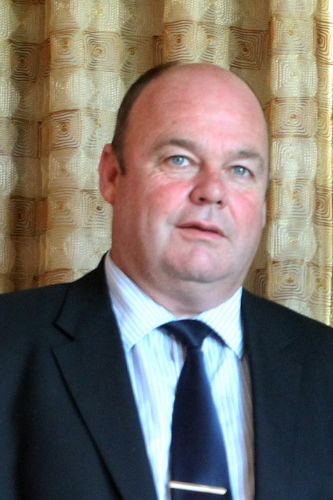 Mr Adrian Simmers, Chairperson, JFCF, said JFCF did not see the National Forest Act of 1998, but indicated what they have seen to be amended is fine as long as it would not have a negative influence on its community and tenureship, especially those who lived and worked on State Forest Stations including the children who were born and raised there. The community would also like to appeal some of the decisions that were made in the past and have them corrected. In 2006, MTO Forestry assumed responsibility over the plantation in the area. This arrangement was not known to the community. The community had already applied in 1996 to operate a community forestry station, but its application was never taken into consideration. A series of meetings with the community and relevant stakeholders including MTO, The Department of Agriculture, Forestry and Fisheries (DAFF), Universities of Stellenbosch and Western Cape, Stellenbosch Municipality, the Department of Public Works (DPW), and legal advice clinics were held. The series of meetings produced nothing because the Stellenbosch Municipality and DPW played a cat and mouse game with the community when it came to implementation. -How did MTO manage to operate in that piece of land as forestry company while the community had already applied in 1996 to operate as a community forestry station? -Where is the paper trail which led to the agreement? -Why are employees not from the community? -Where do all the profits go, and why do community members not own shares? -Who are the rightful owners of the land? -Was there ever a consultation process with the forestry community? Mr Simmers indicated they could not see a clause that deals with the protection of forest dwellers, retired forest workers, tenure security, and livelihoods. Communities should be taught by DAFF on what to do in cases of disaster, and DAFF should have a focused research unit that resembles ex-SAFRI (South African Research Forestry Institute). Mr Johaness Matabata, Vice Chairperson, WCFSF, said the organisation was formed by key forestry stakeholders in the Western Cape with the common view to promote and support development in the forestry sector in the Western Cape. Forestry development offers real opportunities for poverty alleviation, employment and enterprise development in communities of the Western Cape and could therefore serve as a catalyst for community development and upliftment. The forestry sector did not come forward as an industry in 1994 to state that apartheid created an unfair playing field which gave them an unfair profit advantage that should be redressed as their contribution towards a future of social and economic stability. To this day and all through the Charter processes, the sector has tried every means possible to hold the government to ransom by repeatedly making their own demands to preserve the inequitable share. The sector has fought hard to hang on to every inequity it has been benefiting from over the past 23 years. It is hoped that the industry would recognise that its future depends upon successful transformation in its broadest sense. With regard to insertion of Section 24 in Act 84 of 1998, he said they are asking the government to ensure that the poorest of the poor would be the first to benefit from the implementation of this law and Forestry Sector Charter. The government should urgently recall the forgotten forestry communities, especially those who contributed to the growth of the forestry sector with their blood, sweat and tears under the most inhumane conditions. The government should ensure beneficiation of all raw forest material. The government must put a stop to creating jobs for other countries through exporting raw materials, and it must work together with the industry to develop opportunities for black scientists to develop within the entire scope of forestry research. The government should also review the evergreen contracts signed before the dawn of our democracy. The very companies enjoying the benefits of these evergreen contracts still feel they do not have to heed the call for transformation whilst enjoying the privileges bestowed on them by apartheid and tolerated by current leaders. On amendments of Sections 34, 35, 36, 37 of Act 84 0f 1998, the WCFSF asked the government to ensure that at least one representative of provincial structures, one representative of the local communities and the industry as well as one youth and one female representative per province are included in all the committees and councils such as the National Forestry Advisory Council. WCFSF further recommended there should be a stop on the current situation where new black minority owners in the sector are used by their majority partners as the very voices to lobby government for maintaining the worst conditions at all the working levels of the forestry industry. Lastly, it indicated the national government should ensure that all its departments drive the national government agenda and not that of provincial departments in the process of transferring state land. Communities that have occupied land for generations are still left in the dark with no or little information or consultation. Mr Marthan Theart, Attorney, Centre for Environmental Rights, responded to the amendments clause by clause. They support the proposal to widen the definition of the terms “natural forest” and “woodland”. The wider definition would lead to more indigenous vegetation and ecosystems enjoying protection under the Act. It is incorrect that the national government is the sole public trustee of the nation’s forestry resources as asserted in the proposed section 2A. All three tiers of government are involved in the conservation of natural forests, forest ecosystems and woodlands and are, therefore, the shared trustees of South Africa’s forestry resources. Environmental management and conservation inherently form part of municipal planning, and that municipalities have powers relating to environmental management and nature conservation. They proposed a re-formulation of the proposed Section 2A of the Act. The Centre supported the proposed insertion of the prohibition on cutting, disturbing, damaging or destroying indigenous forest vegetation other than trees in a natural forest. Such an insertion would promote the ecosystems approach to the conservation of natural forests. The Minister should be authorised to issue written notices to persons who have cut, destroyed, disturbed or damaged any indigenous vegetation other than indigenous trees. The phrase “that may be determined by the Minister” is too subjective and may be unconstitutional for being at odds with the rule of law. It recommended that the said phrase be deleted from the proposed subsection. Mr Theart stated they support the proposed insertion of an appeal provision in the Act, but the right to appeal must be afforded not only to “affected” persons, but also to “interested persons”. The Minister must be afforded the power to make regulations relating to a set procedure for appeals contemplated in the proposed Section 57A of the Act. The Centre supported the proposal to provide for a more severe sentence for category five offences. These would result in better compliance with the provisions of the Act. They also recommended that more severe penalties are prescribed for all offences, not only category five offences. They recommended that the Act provides for maximum fines between R1 million and R10 million. 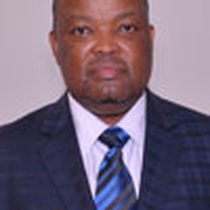 On the Woolworths submission, Mr Dipepeneneng Serage, Chief Director for Inspection and Quarantine Services, DAFF, said the compulsory registration of producers, blenders or fillers is necessary from a food safety point of view because the seller has to be known. The main thing is food safety, and the Bill is overarching at strategic level and is allowing details to be sorted out at regulation level. The Chairperson indicated that regulations should be sorted out by the Bill. Everything has to be clear in the Act. Regulations should provide technical details of the Act. Mr P Maloyi (ANC) asked if regulations would be in conflict with the legislation. Mr Serage replied that the Department would look into the matter because they were under the impression that if you get the regulations done, you get to exempt what you want to be exempted. Mr N Paulsen (EFF) indicated he does not support the move to increase the percentage that allows Woolworths to sell what they are selling. The government should not dictate how retailers should sell their products. The Chairperson said this is for the better regulation of liquor in the country. Mr Paulsen said Woolworths is going to lose a lot of money if it is not allowed to sell what the customers want. Mr Maloyi wanted to know if there is any part in the Bill that makes references to exemptions. Mr Serage said they are going to hinge on the definition of alcohol. The Bill makes provisions for the definition of alcohol. Ms Kanthi Nagiah, Legal Advisor, DAFF, said exemptions are catered for in terms of the Act under Section 4 of the Principal Act and the Minister may grant exemptions. Mr Serage stated the schedule talks of definitions in Section 19, and that is where they hoped to say anything with 0% to 1% would be exempted. Mr Cronje remarked that entities should be entitled to sell products at Woolworths stores without a liquor license. If a license is required, the change is going to make it difficult for new entrants or groups. Ms A Steyn (DA) referred to Grain SA’s written submission and wanted some clarity on why the making of traditional beer should be limited to barley and malt and not sorghum, and she wanted to know the definition of traditional beer. Mr Serage said sorghum is allowed in traditional beer production. Even the current legislation allows grain sorghum as a raw material to make beer. The Chairperson said traditional beer is referred to as umqombothi. The Act makes a separation between ordinary beer and traditional beer. The argument is that other cereals are not allowed to make beer. Mr Maloyi asked the Department to comment on the proposal by the South African Liquor Brand Owners Association (SALBA) to have three paragraphs inserted in sub-section 3. Mr Serage indicated the Department is struggling with enforcement at the local market if a certain section of the Act is contravened. It is difficult to carry out enforcement due to resource constraints. The process is lengthy and it must be remembered it deals with perishable products. The producer may continue to produce while the process is continuing. The proposal is to destroy the non-complying liquor products just like the way it is done with imported products. With regard to the SAB submission, he stated the submission came too late after the due date and it is lengthy. The Department is going to engage with the 56-page document because the SAB has been part of the consultation process in order to understand what SAB wants to achieve. Ms Steyn said there is going to be a challenge if the regulations are not included in the Bill. The Chairperson pointed out the Bill that they pass should also talk of what they are regulating. If the regulations are passed after the Act, it then becomes difficult to implement the Act and that is what the Committee must avoid. On the Centre for Environmental Rights submission, The Chairperson remarked that before the legislation is processed, the Committee needs to consult with the communities. The Department has agreed there have not been many consultative processes with affected communities. Mr Paulsen said the Committee will not allow the Department to continue coming with a piece of legislation that has not been discussed with affected communities. The Department should rather go back and re-do the work. What it has done is immoral. Mr Maloyi stated the Department has indicated the stakeholders it has consulted. But what needs to be asked is how they have done the consultative process. They might not have consulted everybody in SA, but certain local communities. They cannot be immoral unless that is substantiated. The Chairperson commented that the Department says it still has to consult with the public though that is vaguely stated in the Bill, and it needs to tell the Committee of the communities it has consulted. This is going to affect the Committee if it still has to consult with the communities that are relevant. The Committee needs to interact with the affected communities before finalising the Act. Ms Steyn also suggested the Committee a presentation from the Department of Rural Development and Land Reform (DRDLR) because it also deals with similar issues. Ms P Nodada, Chief Director: Forestry Development and Regulations, DAFF, said it is indicated in the Bill that local communities and public were consulted. Invitations were sent out to different stakeholders. People that are listed on the Bill are the ones that responded to the invitations. The list of people who were sent invites would be forwarded to the Committee. Ms Steyn asked the Centre for Environmental Rights if there is anyone who advised on how the definitions should be like seeing that it agrees with amendments from Timberwatch. Mr Theart stated he did not have a chance to think of definitions and he got to know of the Timberwatch definitions very late. Mr R Madula, Director: Forestry Regulations and Oversight, DAFF, said Timberwatch raised conceptual issues without specifics on what they are proposing. The broadening of definitions would protect the national forests from being destroyed and encroached by foreign species, and these forests are partly degraded. He further noted they have considered what constitutes deforestation in the Bill. Issues of deforestation are contested areas in the climate change processes and discussions. Climate change processes are on-going. On whether plantation is considered forest or not, he indicated the current legislation provides definitions for the different types of forests and plantation is one of them. The Chairperson wanted to establish if the definition of plantation has not been addressed in the World Congress that DAFF participated in and why plantation is defined as a forest. Dr Rampedi replied that the Act classifies and defines the three types of forests. There is a natural forest, a plantation forest, and a woodlands forest. These are covered by the current legislation. According to the World Congress, plantation is defined as a forest just like natural and woodlands forests. Plantation forests are there to be seen how they are going to contribute to climatic conditions and economic sustainability. Mr Maloyi commented that what the Centre for Environmental Rights says on offences and penalties and right to appeal makes no difference to him because what it is saying is contained in the Bill. Mr Theart stated their recommendation is to simplify what is already stated in the Bill to avoid different interpretations. Regarding rights to appeal, he said anyone must enjoy the right to appeal. He proposed that appealing rights must not only be afforded to “affected persons”, but to “interested persons” as well. Mr Paulsen asked the Centre for Environmental Rights if there are cases they know of that assisted individuals and communities in the past. Mr Theart replied they mainly helped communities affected by mining. They provide paralegal training and access to courts. They also represent communities affected by power stations of SASOL and Eskom, but not much has been done in the forestry sector though they have had engagements with JFCF. Ms Nodada said the Department mostly agreed with the proposals from the Centre for Environmental Rights. Ms Steyn asked the JFCF to state the name of the company that is dealing with planting in the Jonkershoek community and how it got involved in that piece of land. Mr Simmers replied they started to notice MTO Forestry around 1996. They made enquiries but got no answers. This piece of land belongs to no one though it is occupied by many communities. There have been many failed attempts to evict them. This company said it needs the land for its workers from Eastern Cape and Mpumalanga yet there are no workers from the local communities. Later, they got to know that this company wants to develop this land and establish other activities. No one knows how MTO Forestry got that piece of land. He further noted there are 13 forest communities that are connected in the Western Cape together with others in the Southern and Eastern Cape. They are trying to work together with them. They have tried to make plantation in Cederburg, but it was refused because they were told Cederburg is for conservation. Dr Rampedi said the issue of conservation areas was concluded by the Cabinet. There is discussion by the Department of Environmental Affairs (DEA) on how SANParks should manage those areas. On the issue of communities as beneficiaries, she indicated these are the areas they are working on with other departments like the Department of Trade and Industry (DTI) on grant funding on timber products before they are exported. Dr Rampedi said MTO Forestry is a lessee to a state owned land. How it operates is not the responsibility of DAFF. What it does is something it discussed with the Department of Public Enterprises (DPE). Plantation forestry is a highly regulated activity that requires environmental impact assessments (EIAs), and when they are approved, the producer has to apply for a water license from the Department of Water and Sanitation (DWS). Mr Paulsen suggested the JFCF should take a lot of motivation from the Native Americans that are fighting big corporates that are encroaching on their land and they must organise themselves as communities so as not to be bullied by capitalists. They must occupy that land because it is theirs. The Chairperson told Mr Paulsen to stop talking about occupying the land because that is not the business of the Committee. Ms Steyn asked the WCFSF to shed light on the issue of forestry communities that are being chased away because of not having lease agreements. Ms Nagiah said they are relying on provincial departments and municipalities’ input regarding the protection of dwellers and prevention of evictions because that is not the sole responsibility of the national department. Mr Matabata said these communities own nothing and cannot get security of tenure from the municipalities. He said his organisation is an NPO that represents forestry villages. With regard to the Richards Bay Minerals written submission, Dr Rampedi stated the Bill prohibits mining in a forest section. Richards Bay Minerals has got a long involvement with the government and was allowed to mine. This relationship even continued after 1994. The Department felt its case is peculiar because it needs protection for its rights in that it employs people. The Bill will not offer protection to one company, hence the insertion of two clauses. Dr Rampedi said there are penalties for category five offences. They start from R50 000 to R10 million. There are remedies and provisions in the Principal Act that allow communities and individuals to collect fire wood if it is only for fire-making and are doing that in forests that are allowed for such activities. The Chairperson wanted to know why the penalty does not start at R10 million because the majority of these people are big corporates and R50 000 is lunch money to them. Mr Madula stated the fines are aligned with the environmental legislation to make sure things are the same. When these issues are going to be discussed with other departments, the matter of fines would be looked at. Ms Nagiah said the R50 000 has been removed from the Bill, but category five offences would be fined up to R10 million. The issue would be discussed with the Department to see if there could be a minimum. Dr Rampedi, responding to the JFCFS’s call on research, stated that SAFRI was incorporated into the Council for Scientific and Industrial Research (CSIR). Matters of research are covered by the Principal Act. The law makes provisions for the Minister to commission research on any matter he/she requires information on. Mr Maloyi asked if it is possible to make regulations before you pass a law. Ms Nagiah replied that it is not possible. Regulations follow the enactment of law. They have to be prepared simultaneously. Regulations have to accompany the law. The Principal Act makes provisions for the kind of regulations to be enacted, and the Parliament reserves the right to reject some of these regulations. Mr Madula pointed out that DAFF already has made regulations that complement the Bill. Once it has been enacted, the regulations would be reviewed to see if they are in line with the Act. On the JFCF submission, Ms Steyn asked if there is a good way of making firebreaks. Mr Simmers stated the main thing is to educate the local people. If people know how to evacuate, then one small problem is solved. Wind is the enemy of fire. People must be aware of the weather patterns. Train the people how to make counter fires – fighting fire with fire. That is a big solution. Mr Maloyi enquired if there are any specific sections or clauses from the JFCF that should be included in the Bill and Principal Act. Mr Simmers indicated he does not have anything specific to offer because he has not gone through the whole Act. Dr Rampedi informed the Committee they did not have a written submission on the Bill, and promised it would be provided to the Committee in writing. Pertaining to the JFCF submission, she indicated the raised issues are practical and manageable. But she pointed out it is difficult to respond to the issues because the JFCF made no reference to the Bill. Its recommendations would be given consideration. Mr L Ntshayisa (AIC) asked if the issues raised by the JFCF are covered in the Bill seeing that the Department says its comments are making no reference to the Bill. Dr Rampedi replied that the the issues raised by the JFCF have been addressed in the Act and Principal Act. Other issues referring to the size of firebreaks have been noted. Mr Ntshayisa wanted to know if Traditional Councils and affected communities have been consulted on the Bill. Dr Rampedi, regarding the AgriSA submission, stated they have looked at their comments, but could not find any specific clause referring to the Bill. The Department does not see how it could respond to their comments. Concerning Mr Elcourt Matlala’s submission, Ms Nodada stated he raised two things: (a) capacity building for Traditional Councils and (b) community and policing forum. The decision to capacitate the Traditional Councils is welcomed so that they do the right thing. Community and policing forums are covered in the Principal Act in terms of allocation of resources to local municipalities. It is the responsibility of the Fire Brigade Act, Cooperative Governance and Traditional Affairs (COGTA), and the South African local government Association (SALGA). Mr Maloyi added that capacitation is covered in the Bill and Mr Matlala should be referred to sections in the Bill that talk of empowering Traditional Councils about fire fighting. Ms Nodada, with regard to SAFCOL written submission, stated the Fire Protection Associations want to be given a legal standing. She said it looks like they would take away the responsibility of fire fighting by local governments and private land owners. Issues of responsibility would fall by the way side. Ms Steyn mentioned that in terms of the National Disaster Act, municipalities and districts have got the responsibility to act. SAFCOL is making sense in its submission, but is also taking away responsibility and accountability from municipalities and districts. She wanted to know the difference between the Disaster Act and Veld Fire Protection Act. Ms Nodada pointed out the Department has got fire maps that indicate where the dangers are or areas where fires are likely to erupt. There are also strategic resources that are shared by countries affected by fires e.g. South Africa and Botswana. Ms Steyn said the Disaster Management Act plays a role when people did not make firebreaks. If DAFF is saying fire brakes must not be made, then when fire erupts, the Disaster Management Act says you are liable because you did not erect firebreaks. Mr Madula indicated the Act itself makes provisions under certain conditions for exemptions not to make firebreaks. It should be noted that the Veld and Forest Fire Act is a disaster preventative measure against fires in case a disaster kick in. The two Acts - Disaster Management Act and Veld and Forest Fire Act – work in an integrated manner. Mr Maloyi asked if municipalities should not be empowered with own fire stations. On the issue of consultation, he said it should be done with counterparts like COGTA to ensure departments talk with each other. It is important to talk of pieces of legislation that could be in conflict with each other or complement each other. Ms Nodada, on resourcing of municipalities, stated the Fire Brigade Services Act deals with the number of fire stations per area and determines where the fire stations should be. Ms Steyn wanted to establish what is being changed in the law to strengthen legislation. Ms Nodada indicated the Bill compels land owners to be part of the Fire Protection Associations (FPAs) to ensure integrated fire management. Mr Maloyi remarked that the Department does not mention Treasury in its consultation process yet an existing law is being amended. He asked if there is any specific amendment with no financial implication. Dr Rampedi replied that it is difficult to give a direct answer because they had to think wider about the implications of the amendment on the levels of government. Details would be forwarded to the Committee in writing. There were three basic things to look at: - the quantum to finance the Bill, to form of a call centre and for coordination. The Department needs to be guided in terms of time needed to finalise the Bill seeing that it is now before Parliament. Mr Maloyi said the Bill is before Parliament and there is a process of public hearings. He asked if the Department should be asked to re-submit a thoroughly worked out Bill. Ms Phumelele Ngema, Parliament Legal Advisor, said the cover page of the Bill still indicates this is the same Bill presented to Parliament. A joint committee looks at what the Bill should contain, its financial implications and powers of the provinces. Then in terms of procedure, deliberations, and resolutions taken on the Bill, it is the resolution of the Committee to say its view on the Bill before and after public hearings. Then the Committee makes recommendations to the House after it has taken its resolution regarding the Bill. The Chairperson said the Department could make its own decision about the Bill when it has been discussed in the Committee and decides if it wants to re-submit a revised and well thought Bill. There must be formal processes that lead to Parliament, and there must be engagement with the legal team before the Bill is presented to Parliament. Ms Ngema said there is a need to comply with the principle of separation of powers. What is important is the involvement of the State Law Advisors because they have to scrutinise the law and make an input before the Parliament Legal Advisors table it before Parliament. Cooperation needs to be strengthened though it is possible on an abstract level but not at an official level. Maloyi stated if he were to advise the Department, he would withdraw the Bill and re-work it. It needs to consult with other spheres of the government including Treasury, COGTA and SALGA and re-introduce it to Parliament. The Department said they would take the advice, consult on the issues raised during the Committee meeting, and report back to the Committee.